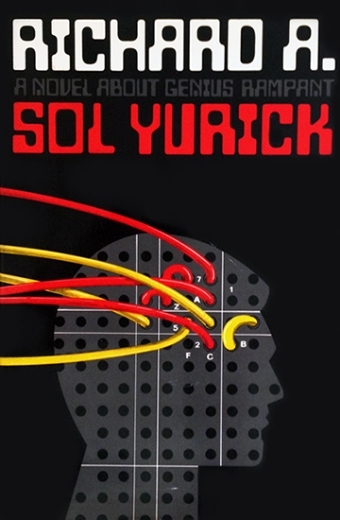 Richard A.: A Novel About Genius Rampant by Sol Yurick - synopsis. New York: Arbor House, 1981. Set against the nuclear, naval and diplomatic backdrop of the Cuban missile crisis is this explosive story of a second special world above and beyond visible national governments… a triumph of suspense and intrigue that transcends and informs history: the story of an uncommonly gifted young man who is two decades ahead of his time, listening from his solitary vantage at the fringes of American society into its most secret and desperate bargaining with Soviet power--acting first as an astounded interloper between John F. Kennedy and the Kremlin, then drawn in as a participant in a crisis of enormous ramifications.